Louisiana Crunchy Oven Fried Chicken | Let's Cook With Bry! Recently I was thumbing through one of my Mom’s “River Road Recipes” cookbooks. The ‘River Road’ runs beside the Mississippi River in Louisiana, along which are many of the South’s most famous plantation homes, such as Oak Alley and Nottoway. The cookbooks are published by the Junior League of Baton Rouge, and the recipes are submitted by League members, their families and friends, the community, and regional chefs. 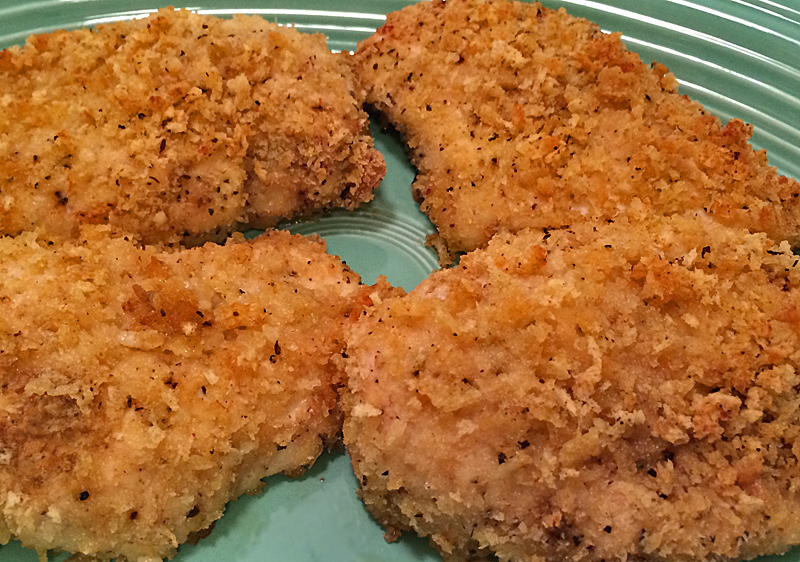 This healthier alternative to my recipe for deep-fried chicken happened to catch my eye. Sprinkle the chicken evenly with Creole seasoning and pepper. 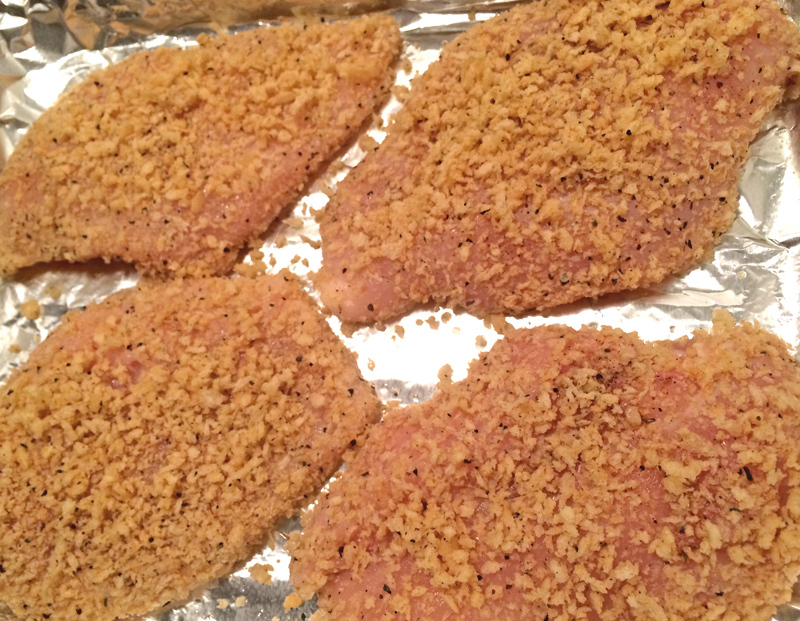 Place bread crumbs and garlic powder in a plastic bag. Place milk in a shallow bowl. Dip each chicken breast in the milk, then place in the plastic bag, hold shut, and shake to coat. Repeat if needed to coat thoroughly and evenly. Place the coated chicken in a single layer onto a casserole baking dish or cookie sheet well coated with vegetable oil cooking spray – the pieces should not touch. Drizzle with the melted butter. Bake at 350° until chicken is tender, about 40 minutes.